Prabhas Not To Take The Risk For Uncle! Right after the sensation of Rajamouli’s magnum opus Baahubali, young Rebel Star Prabhas became the darling of everyone across the country and he attained international stardom and recognition. Currently he is busy shooting for his upcoming entertainers Saaho and Jaan/Amor and is planning to lineup few more projects in Bollywood to delay his marriage as much as possible. 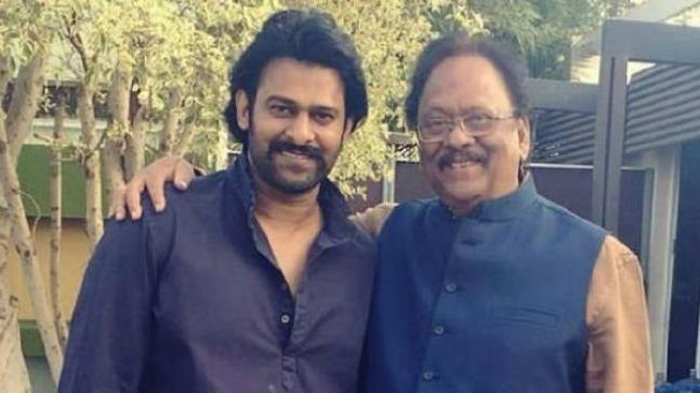 Meanwhile, Prabhas and his uncle Krishnam Raju got a crazy political offer in the run-up to the upcoming elections. It is known that Krishnam Raju is the member of BJP and earlier he worked as a Union Minister. Now reports are coming out that BJP is planning to lure Prabhas and use his stardom across the country to its advantage in the upcoming elections. BJP biggies are said to have invited Prabhas and Krishnam Raju to discuss the proposal of making Krishnam Raju, the Governor of one of the Telugu states. Buzz is Amit Shah asked BJP AP leaders to inquire whether Prabhas would be interested in contesting the upcoming elections as a MLA. While fans are getting excited, many say Prabhas will not take any decision on his political entry as his stardom increased tremendously after Baahubali and if accepts to take up politics it will be his biggest blunder. To conclude with, Prabhas is not at all interested in politics! A Game Changer For Balakrishna!